If you’re reading this, you’ve probably already decided to give watermarking a try. 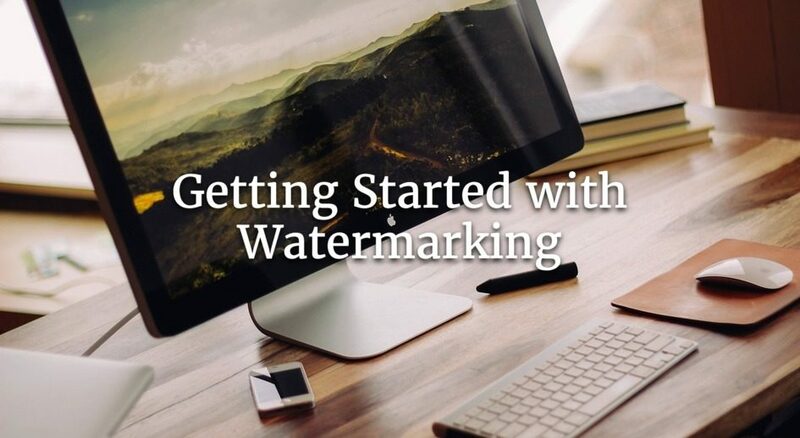 In order to get you started as fast as possible, we’ve written this step-by-step guide to get you on your way to watermarking your photos or videos using Watermark.ws. 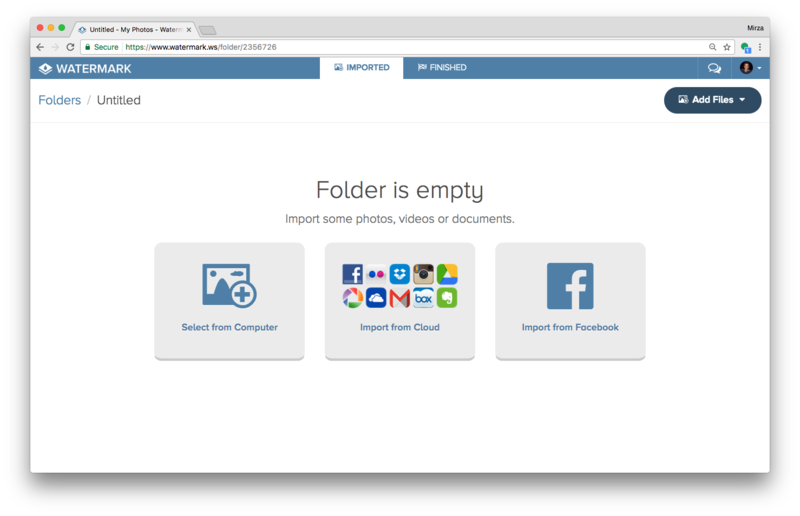 Upload one or more photos or videos from your computer, or import any files that reside in your Dropbox, Facebook or any other platform. Please be patient as this step may take a few minutes, depending on the size of the files that are being imported. Once your files have been imported, you can begin editing each file individually by hovering over the file and clicking the Edit button. In this tutorial, we’ll be editing only one photo. 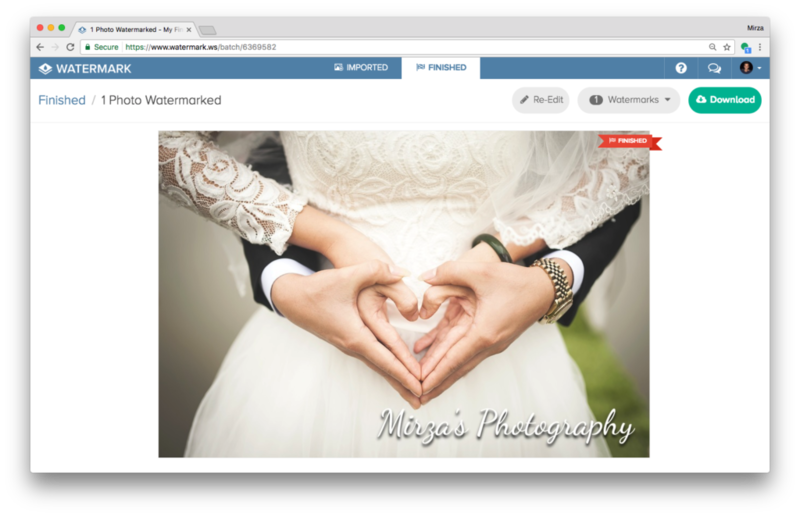 You can refer to our how to batch watermark your photos guide on how to edit multiple files at once. 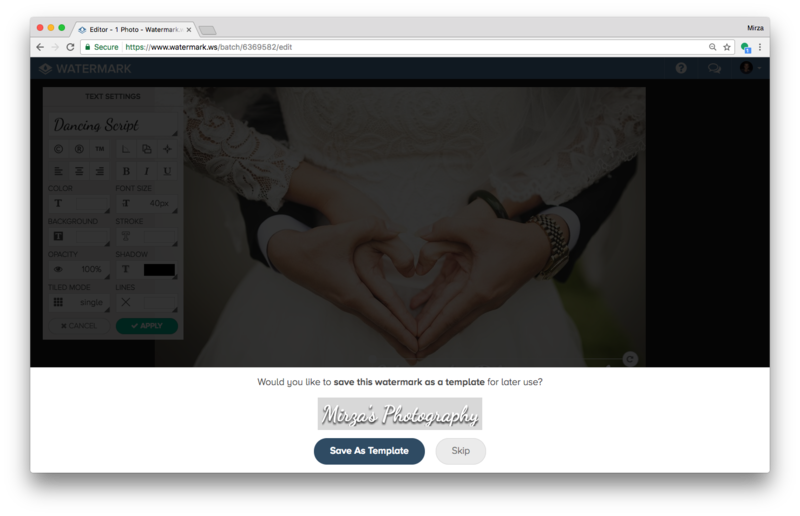 If you don’t already have a watermark created, you can create your own watermark using the Text tool. To use your logo as your watermark, choose the Logo tool. Both tools are located on the bottom toolbar. In this case, we’ve created a watermark from scratch. Choose from hundreds of fonts and design your watermark by changing its color, stroke and opacity. 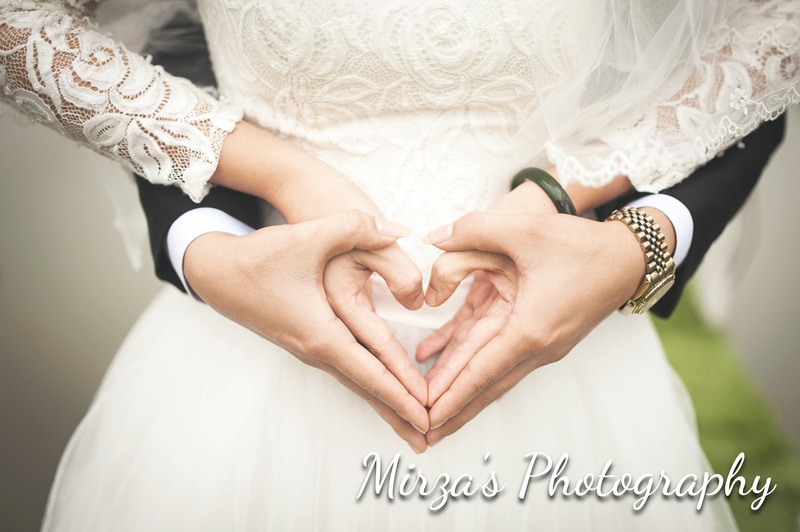 You can also add a copyright symbol to your watermark, or tile the watermark across your photo. Once you’re satisfied with your watermark and its position on your photo, click the Apply button to apply it. You’ll be prompted on whether you’d like to save your watermark as a template. 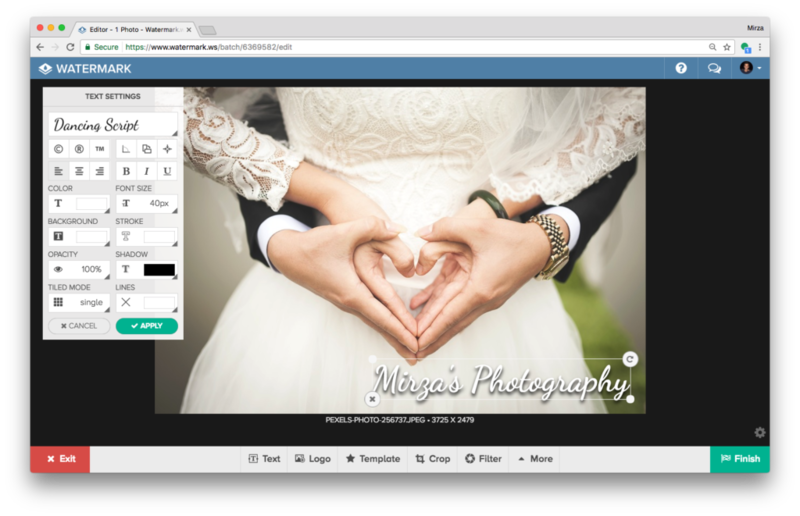 If you choose to save your watermark as a template, you’ll be able to access it with one-click using the Template tool on the bottom toolbar the next time you edit your photos. 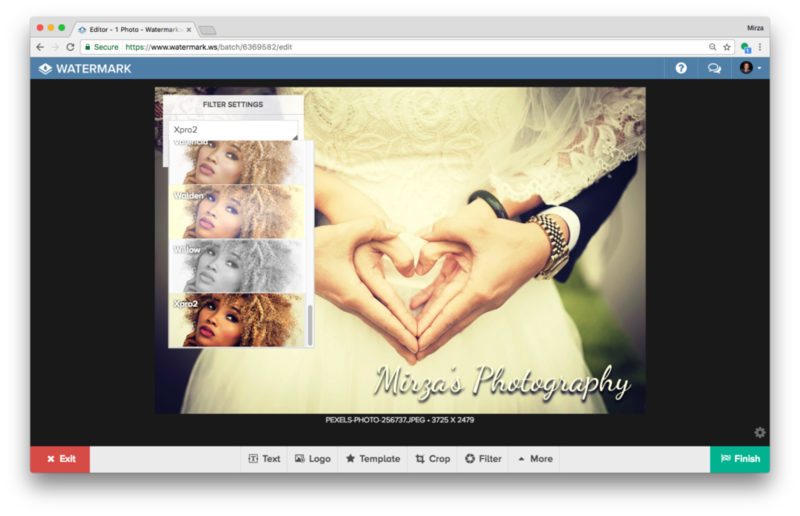 While still inside the editor, use the bottom bar to perform any additional edits on your photo. Place another watermark, or make any other adjustments to your photo such as cropping, resizing or applying a filter. When you’re satisfied with your edits, click the Finish button. You will be able to download your watermarked photo back to your computer, or export it directly back to any other service, such as your Facebook or Dropbox account. See the watermarked photo here. 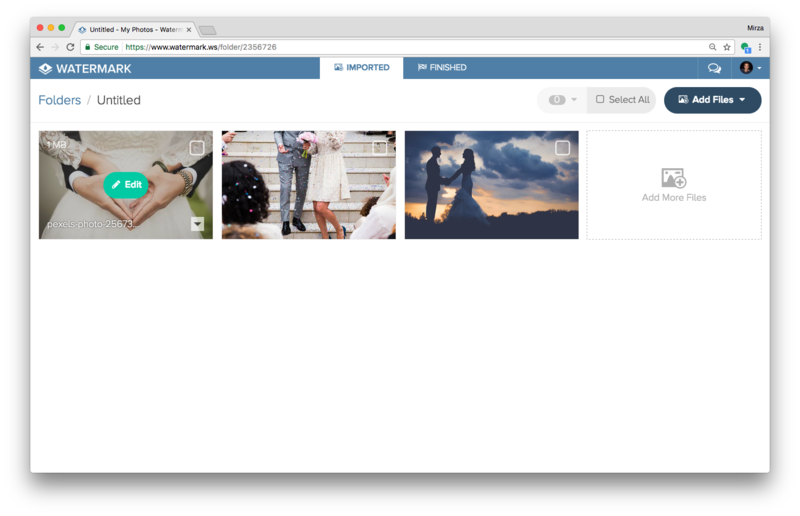 Click here to start watermarking your photos, videos and documents today. Absolutely no download or installation of any software - it only takes a few minutes of your time.